So the second trailer for the fourth and final season of Star Wars Rebels hit the internet recently and I'm still reeling over the implications. There's a lot more shown of whats to come but also a lot more questions that remain unanswered. 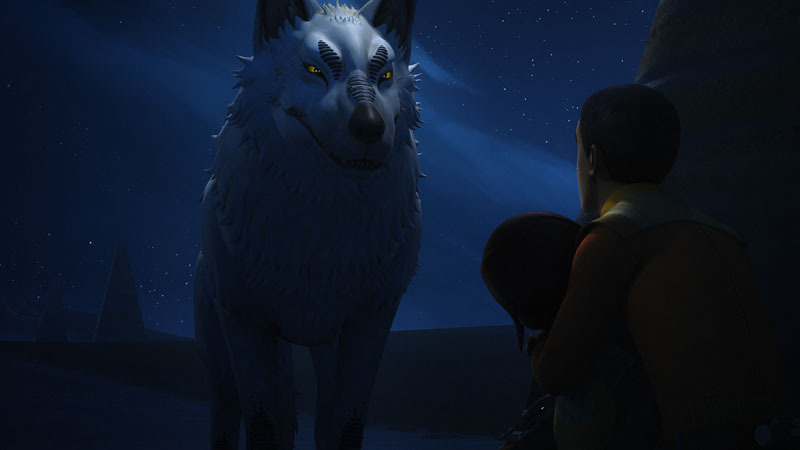 And it feels like showrunner Dave Filoni is taunting us with just how many wolves are in this crazy trailer. So. Many. WOLVES. There's no sign of Ahsoka Tano yet (Ahsohka LIVES!) but I continue to hold out for her making an appearance. But man there's other great stuff like references to the Death Star and thus the Rogue One time period draws ever closer.